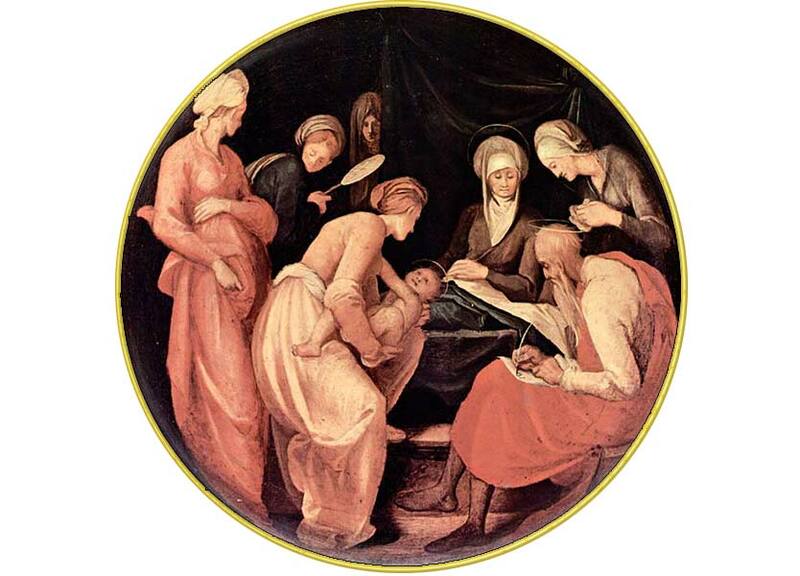 Birth of John the Baptist, Jacopo Pontormo ca. 1526. 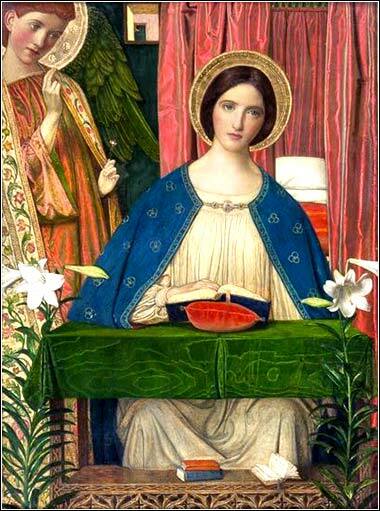 The Annunciation by Arthur Joseph Gaskin, ca. 1898.
echariah's spontaneous hymn of praise is often called the Benedictus (Latin for “blessed”, the first word of the hymn), but is also simply called “The Canticle (or Song) of Zechariah”. The first half is a general song of thanks to God, for the time of the Messiah is finally at hand for Israel. It seems to have a flavor of the Old Testament, for it recalls the time when Israel was independent and powerful under David (and Solomon), and the theme is deliverance of Israel from her enemies. So Zechariah announces that God's promise to Israel is on the verge of fulfillment, after almost 2000 years. The imagery of the “horn”, used here and throughout the Bible, does not translate well into modern times, but it resonated greatly at the time. The problem is primarily one of technology; 2000 years ago, a horn was a natural symbol of power, because the world was full of oxen and their horns were immensely powerful. Additionally, lacking modern communications, the horn of a ram was used both in battle and in worship as a signaling device. Jewish altars had four horns at their corners, and often one of these horns might be grasped by a person seeking sanctuary. A modern-day equivalent to “horn of salvation” just doesn't exist; a sword of salvation or a tower or rock of salvation, might be more understandable, but they simply are not accurate.